The human body has what is called an endocannabinoid system inside our brains and nervous systems. According to Wikipedia, “The endocannabinoid system (ECS) is a biological system composed of endocannabinoids, which are endogenous lipid-based retrograde neurotransmitters that bind to cannabinoid receptors, and cannabinoid receptor proteins that are expressed throughout the mammalian central nervous system (including the brain) and peripheral nervous system. 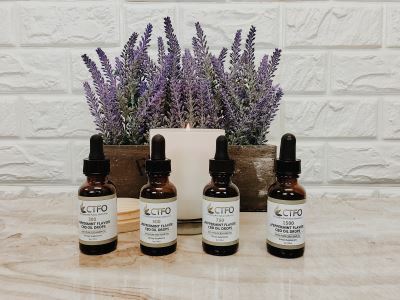 While CTFO refrains from making any medical claims for CBD oil, there is a large body of medical and scientific research extolling the many benefits of this natural product. 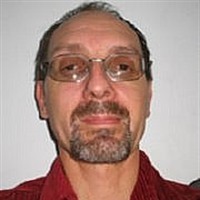 Some people are reporting relief and help for a wide variety of health issues. We say, it’s GOOD FOR YOU. Try it and see if it helps with a problem you’re having. If it does, great. Tell your family and friends about it. We choose to let our CBD oil speak for itself. Our oils are of the highest purity and are independently tested for potency by an outside laboratory. We are even bold enough to post those lab results right on our website! 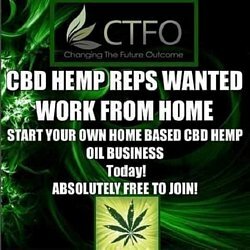 CTFO offers full spectrum oil (CBD plus all the other cannabinoids found in hemp, but with less than 0.3% THC (which means it is effectively THC free!). The full spectrum oil is taken orally under the tongue and comes in 300, 500, 750 and 1500 mg CBD strengths. We also have CBD isolate oil (completely free of all other cannabinoids other than CBD) in strengths of 500 and 1500 mg. These may be preferred by those who are required to take a drug test for employment. Please note that some drug tests do look for more than just THC, so CTFO cannot guarantee you will pass a drug test if using these products, including the Isolate products.